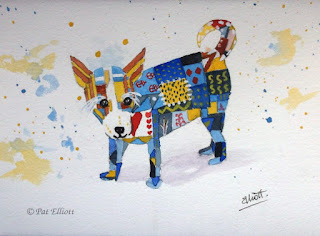 Here, using my own sweet jack russell terrier as a model, is a child's toy...a patchwork dog. I was given a challenge to throw some paint at a page and incorporate it into a painting. 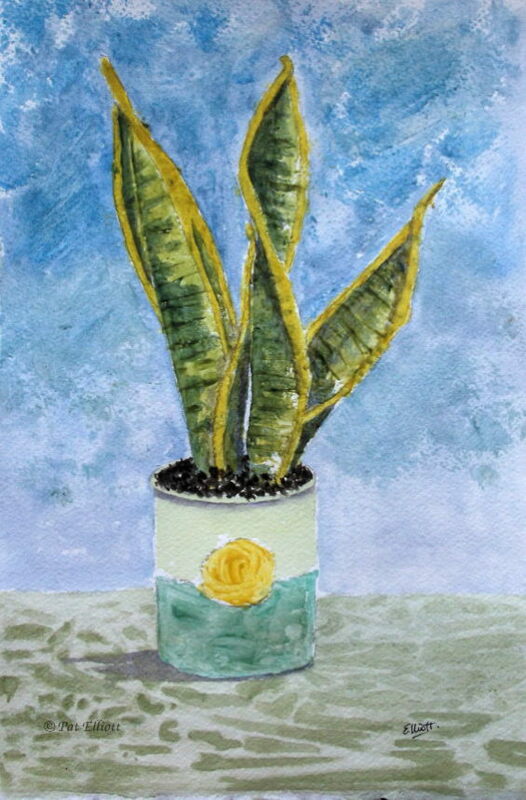 This is the third and final in the series. 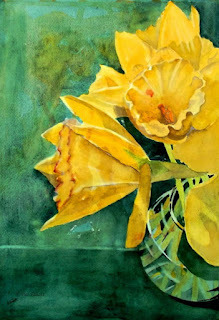 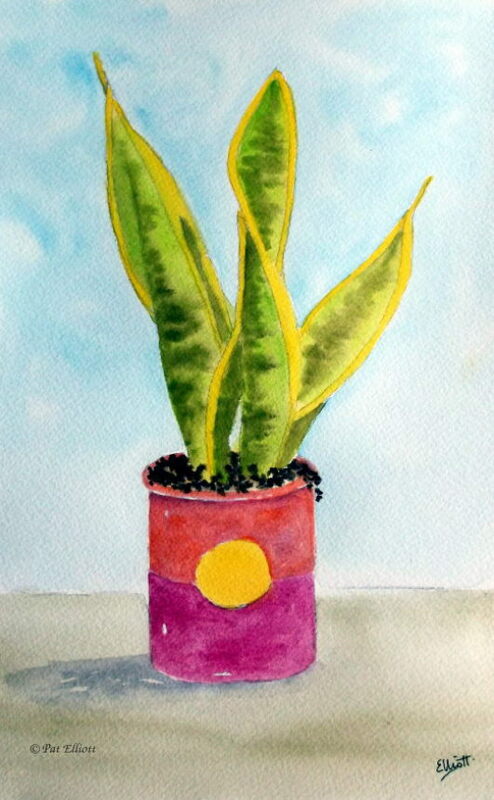 This version of the mother-in-law's tongue plant has been painted using Inktense blocks.